Summary: 14-year-old Wren Clemmens is running with a bad crowd and failing in school. In a desperate move, her parents force her into wilderness therapy camp where she must face off with the desert and her demons. Order wherever books are sold. Everything’s cocoon-y. Drifty. The clouds are so soft. Go? Go where? Who said that? I don’t recognize his voice. I look around my cloud, but it’s dark. Like a storm is coming. I pull in, hunker down. Why is he on my cloud? “Go away,” I mumble through the rocks in my mouth. I need a drink. Maybe if I licked the cloud . . . Wait. That was Anabella. What’s she doing on my cloud? I can’t see her either, though. And now the cloud is rocking. Rocking and spinning. “Go back to bed,” my mother hisses. It’s Mo! My little buddy, my Mowgli, my Mo-bro! He can be on my cloud. Anytime! But . . . no . . . wait. First I have to hide some things. Quick. I need to hide some things. “Take Morris and get back to bed!” my mother hisses. “I can’t believe you’re doing this,” Anabella says. “Take your brother and go!” my father commands. Why am I even on this cloud? It’s so crowded now. And dark. And rolling with thunder. Light stabs my eyes as I peel them open. A man comes into focus. He’s large. Standing over me. Wearing dark blue. With gold embroidered shoulder patches. A . . . a cop? He starts swaying. But . . . no, it’s not him swaying. It’s me. Or my bed. I grab for my trashcan and puke. My mind runs to Nico as my guts come up. Did he get busted? Is that why there’s a cop here? Did they connect the dots? That line’s always worked before. But this is a cop, not my parents. And he’s got that look. “It’s for your own good,” my father says. His voice sounds icy. Hard. A freezer door slamming shut. “Can you walk?” the cop asks. She doesn’t answer me. Nobody answers me. I’m shaky and cold and my head is pounding. There are handcuffs on the cop’s belt. I’ve heard they hurt, so I pull on my jeans and hoodie. I feel haphazard. On the verge of puking again. And then I notice that my phone’s gone. “We’ve got your phone,” my father says. “Are you really that selfish?” my dad says, anger seething through his lips. “Why are you doing this to me?” I ask him, and now I’m crying. Then the cop’s saying, “We’ll be in touch, Mr. Clemmens,” and I’m being hauled outside. But I’m talking to wood. Most synopses/reviews of Wild Bird center around Wren being sent against her will to a desert camp for troubled teens and what she has to do to survive. But that's just the setting. The set up. The purpose of the story is to help the reader see that their future is shaped starting now; that it's time to figure out who they want to be. Because everything else--good friendships, true love, career success, a charitable heart, happiness--everything else is the result of figuring that out. 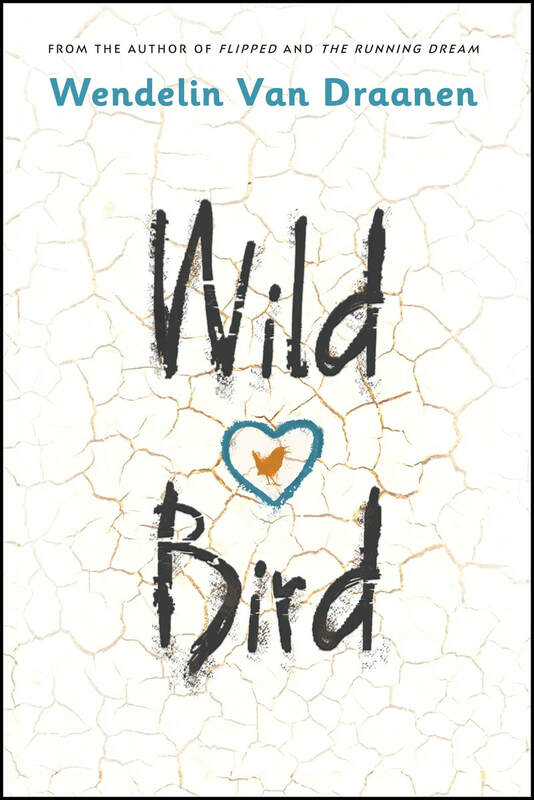 The purpose of Wild Bird is to help teens find courage to be themselves, and fly.